UBC’s Asian Library, in collaboration with the Chinese Cultural Centre Museum and Archives, presents Where Did the Immigrants Actually Come From? This exhibit, first shown in the Asian Library in 2010, was followed by a two-year project that involved mapping the villages and towns recorded in the Head Tax database. The exhibit runs Tuesday to Sunday from 11 a.m. – 5 p.m. until July 3 at the Chinese Cultural Centre Museum in Chinatown (555 Columbia Street, Vancouver). Hey hockey fans – are you feeling Stanley Cup fever? 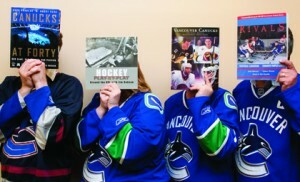 Then tap into some hockey history courtesy of UBC Library – and impress fellow fans with your knowledge of the Vancouver Canucks and insights into the Canada’s storied sporting pastime. From anecdotes to kids’ lit, biographies to bibliographies, we’ve got something for everyone who’s hot on hockey. So come in, check us out – and cheer on the Canucks! You can view the article here: Jewish Independent. Microsoft pushing you to upgrading to Internet Explorer 9? Resist! Several of our Library e-Resources are not working with IE 9 (Web of Science, for example). This is commonly a problem with the latest version of browsers; the publishers/vendors/platforms just don’t upgrade themselves right away. We do not have a list of resources that will/won’t work with IE9. So, if possible, just hold off for a while. All platforms comply with Microsoft’s changes eventually. 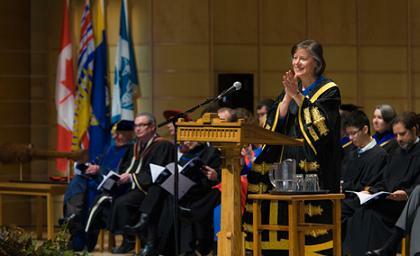 With the congregation ceremonies in full swing, it is an exciting time of year for UBC graduates, their families and fellow UBC colleagues along with the UBC community and other well-wishers. @ Currently, there are 12 UBC faculties issuing degrees: Agricultural Sciences, Applied Science, Arts, Commerce and Business Administration, Dentistry, Education, Forestry, Graduate Studies, Law, Medicine, Pharmaceutical Sciences and Science. So, take a few minutes to celebrate some of UBC’s graduate students’ scholarly research and intellectual output – from across a variety of disciplines – via cIRcle, UBC’s Digital Repository. To date, there are almost 60 community and regional planning projects in the SCARP Graduating Projects collection in cIRcle. The projects cover many topics such as capacity building, healthy cities, participatory governance, primary schooling, transit planning, urban design, and more.